One of the most important moments in the beginning of a relationship is those first few dates. Although it might not seem important, the place where those lovers meet matters a lot in their first impressions of each other. This is the reason why you will probably need a great restaurant in order to spend some high-quality time with your lover in an awesome atmosphere. One of the greatest parts about this restaurant is that you can book a table for 2 and watch the sunset while eating or drinking a bottle of wine near the beach. You can choose from a variety of seafood right on the beach, at reasonable prices. You want a memorable date near of the person you are in love with? Then this place is perfect for you. With a friendly staff, you will be given everything you want in order to make your night special. Come and taste some Traditional Mexican food here and negotiate the price! If you just want a night out in order to forget about your daily life problems and .listen to jazz, then The River Café is waiting for you! You can order appetizer, main dish and a delicious dessert for up to $20 in order to save up some money in order to surprise your partner with a present. Trio Restaurante is known for its awesome dishes with amazing plantings that are meant to impress both you and your partner when the order arrives. You have the opportunity to choose from a large variety of dishes careful chosen from all corners of the world in order to make your dinner memorable. Fast waiters and friendly staff. the large number of types of cheese which are said to come from some local farmers. When you know your food is not infested with chemical substances then you start to be more energetic and trust the restaurant you’re eating in. That is what actually happens with Barrio Bistro. As the chef daily announces that the food comes from sure sources there is nothing you should be afraid of. 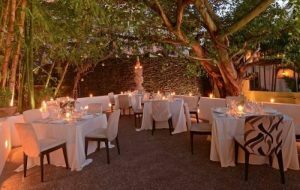 The atmosphere is great and you can serve your dinner in the middle of a beautiful garden. This restaurant provides its clients with authentic recipes that will just test your senses. Special meals for couples and a large amount of sophisticated food for those who want to try something new every day. 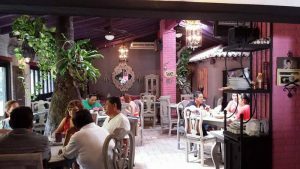 If you are a foreigner and you want to try some Mexican traditional foods, then this place is the best choice for you. 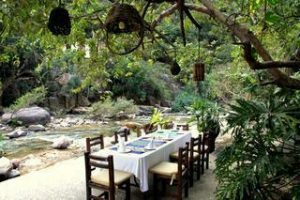 Situated in the Romantic Zone of the town, you will feel exactly like home while eating your dinner with your partner. Tourists just name these restaurants as being the most romantic one in the entire town. The gentle lights will introduce you in a peaceful atmosphere and will help you get rid of all the problems. This one is a family-owned business so do not be surprised if a young boy will take your order while you are discussing to its father, the owner. 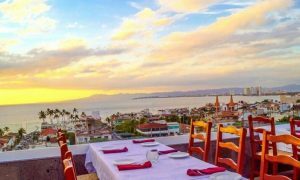 Puerto Vallarta is known for its luxurious restaurants, so there are multiple places you can choose from in order to spend some time with your partner. You can choose from both expensive and cheap restaurants in order to find the one that appeal to your needs and material possibilities.